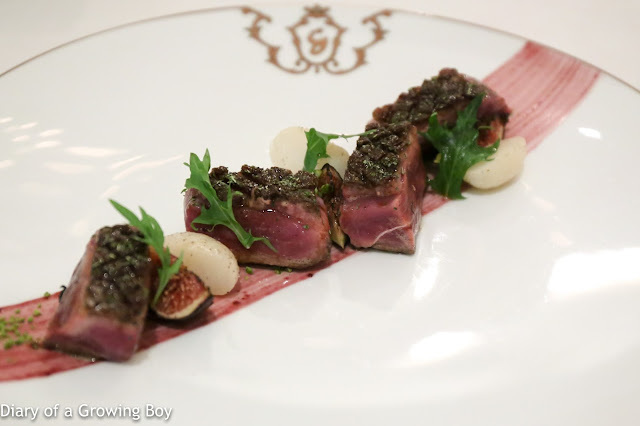 A staycation at the Pen wouldn't be complete without dining at the grande dame of French restaurants in this town, so a mere three weeks after our last visit, we were back at Gaddi's for dinner. As luck would have it, Kung Fu Panda was also in the house tonight. She's a regular here and seems to know everyone. But as she was dining with her mom and her mom's friends, we kept to ourselves and only exchanged a few words when she came over. As I had already gone through the tasting menu earlier in the month, I decided to give it a pass tonight. 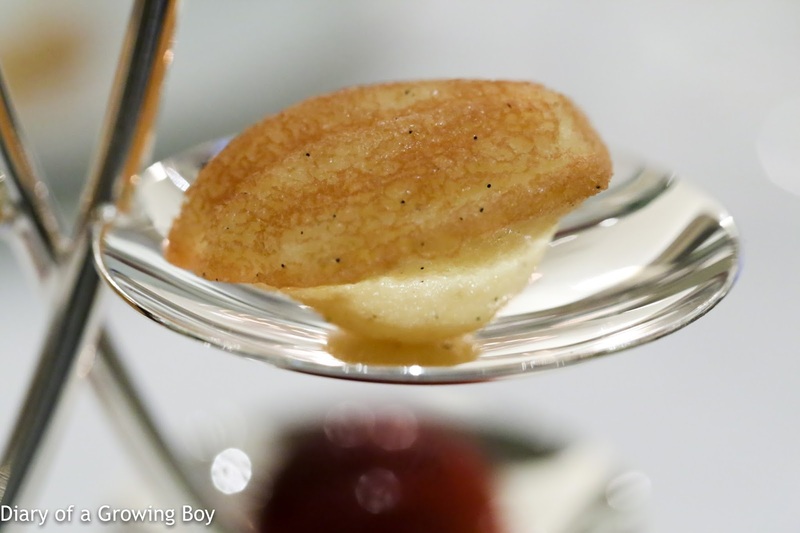 It's also a little early in terms of white truffle season, so I also passed up the white truffle tasting menu or any of the truffle dishes. There was a certain itch I needed to scratch tonight, and I was determined to get it done. So à la carte it was, then. 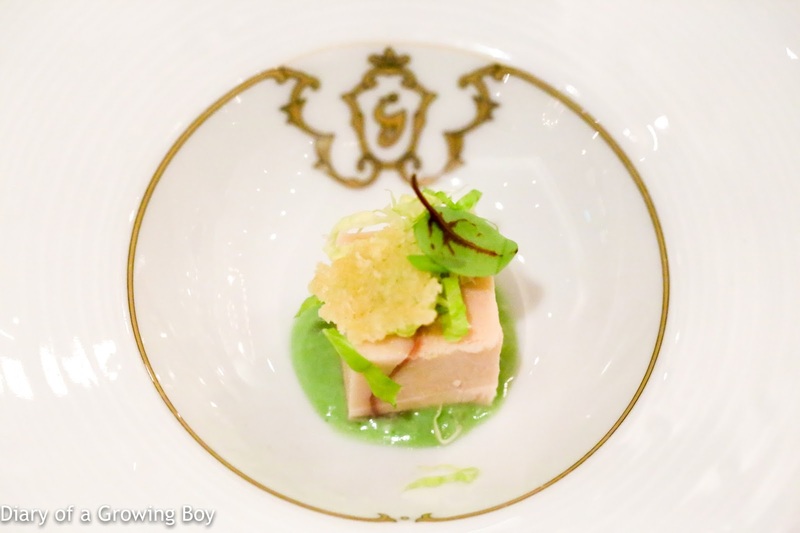 Once again, our amuse bouche was a cube of confit chicken with ham in parsley cream sauce, topped with a wafer of Parmesan. 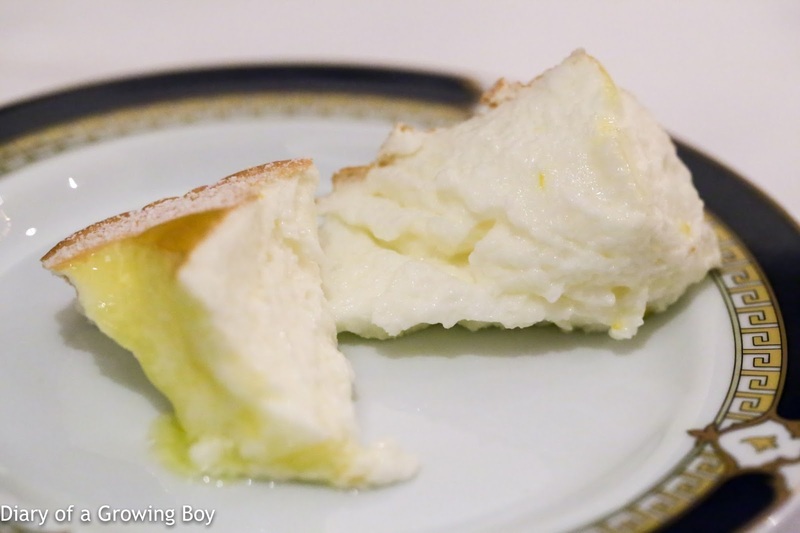 Le tourteau des côtes bretonnes assaisonné d'une crème de chou-fleur, gelée de homard surmontée de caviar impérial de France - this was it. This was the itch I had come to scratch. 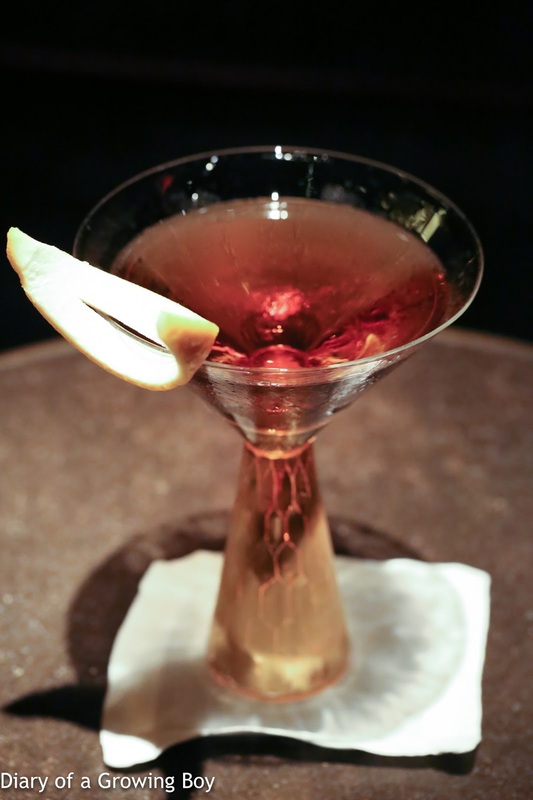 Xavier's variation of the famous creation from Joël Robuchon. 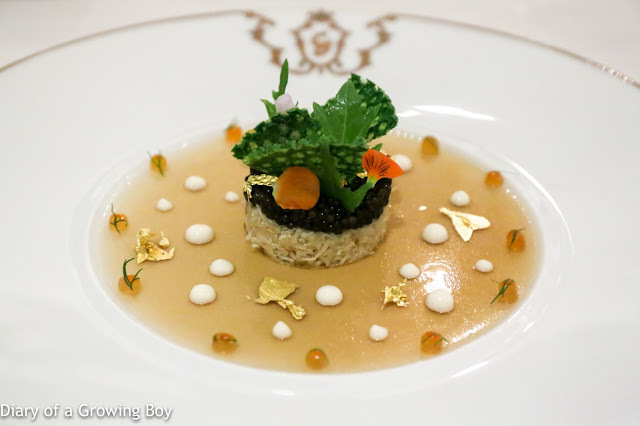 All the key ingredients are here: lobster jelly, cauliflower cream, crab meat, caviar, and of course gold foil... along with a couple of extras like salmon roe and the buckwheat tuile colored with seaweed. It was delicious, but I didn't love it. 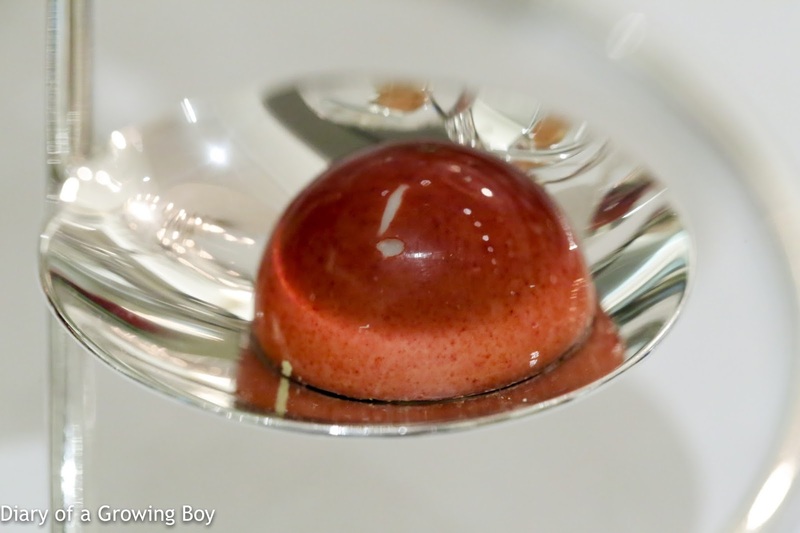 It was so full of the flavors of the sea, and plenty of umami from the lobster jelly, but it lacked the right balance. 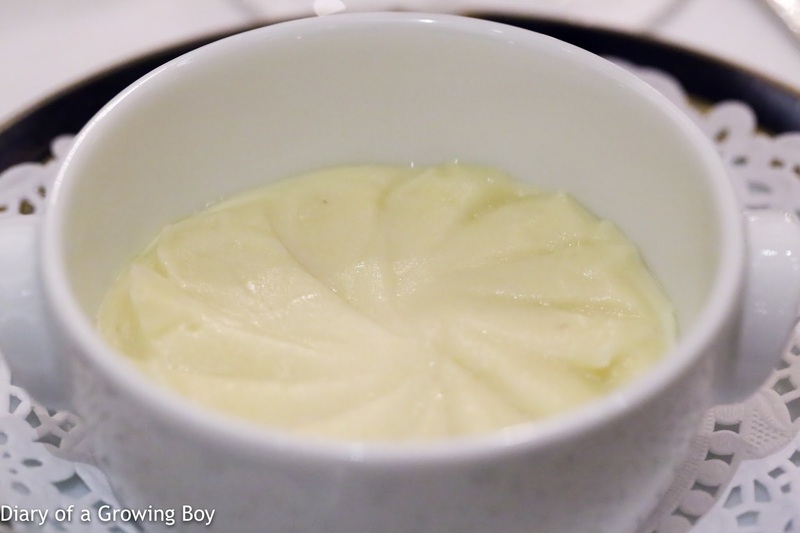 There should have been more cauliflower cream to provide the counterbalancing sweetness. 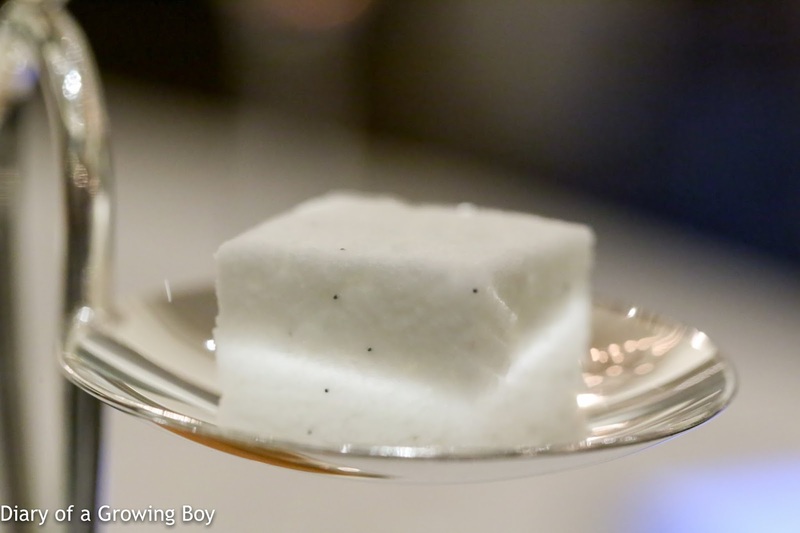 Instead, the dish was skewed towards salt, and the Kaviari Kristal caviar tasted one-dimensional. Tonight's the 5-month anniversary of the last time Richard Ekkebus' iconic sea urchin dish was served at Amber, and I found myself missing its perfect harmony dearly. 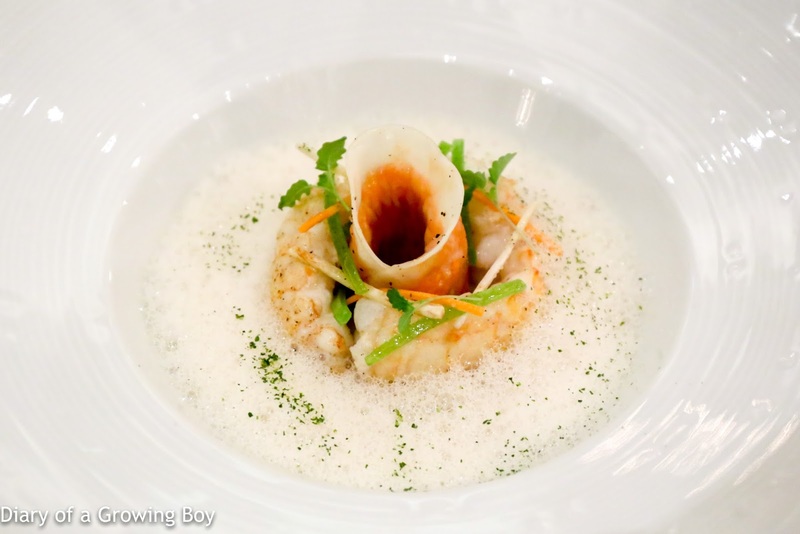 Les langoustines poêlées dans une émulsion de coco et de poudre de citron vert à la coriandre - this was Hello Kitty's first course, and I was lucky enough to get a bite of it. OK, I got more than a bite... I practically ate more than half of her langoustine in one BIG bite. Thankfully she was a pretty good sport. The langoustine was very, very nicely done, and earned high praised from my dining companion - making my big bite all the more shameful. Apparently the accompanying raviolo was also delicious. Le canard de Challans rôti aux figues fraïches et jeunes navets, sauce aux vieux porto et épices douces - it's difficult for me to choose between duck and pigeon, but duck became my default choice tonight. There seemed to be some miscommunication between myself and the kitchen. Normally I'd order my birds "rosé", or "pink", but for some reason I asked for "rare". I figured that in this town, even French chefs would cook their birds a little more when Asian diners ask for "rare". I was wrong. What came out was more than rosé. It was "bleu". I was a little taken aback, but as it was cooked according to my instructions, I decided not to send it back to the kitchen. It was pretty raw, and still tasted pretty damn good. I smiled when the bowl of potato mash was brought to the table. He did take a thing or two away from his time with Oncle Joël... although this mash definitely had a lot less butter. 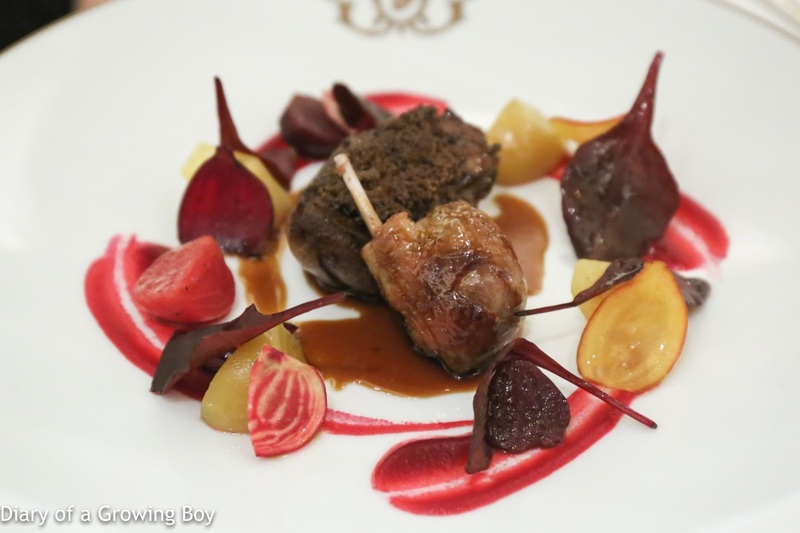 Thankfully, beetroot wasn't in everything, and the pigeon was still very, very delicious. 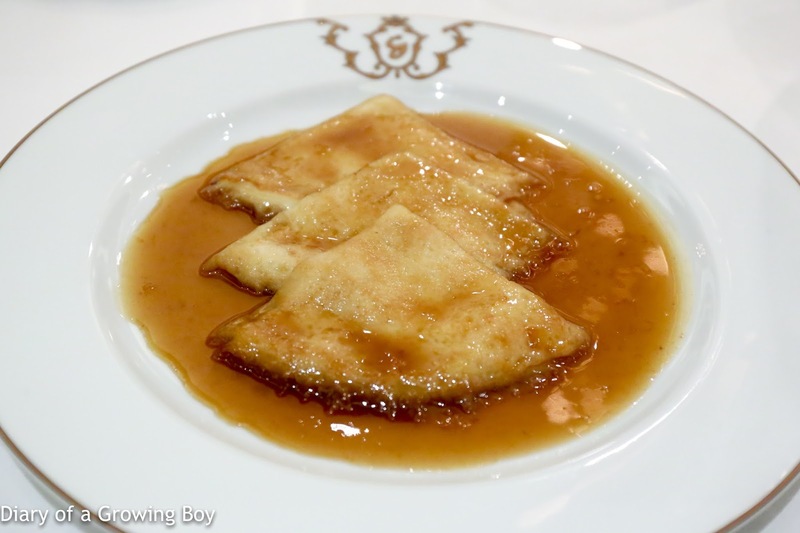 Crêpes Suzette - there was never any question about which dessert I wanted to order. I had to check out their table side service, and that meant getting this classic dish. The finished product. Very, very delicious. 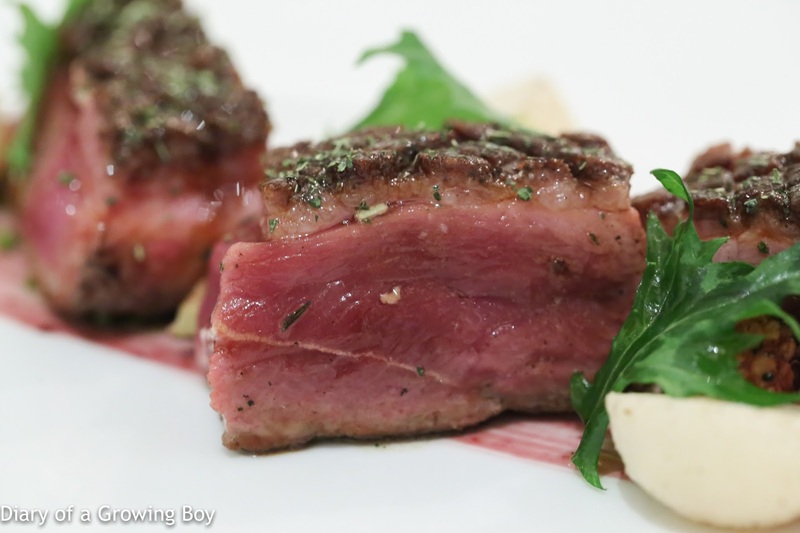 Very good depth of flavors here, and definitely something I'd order again. 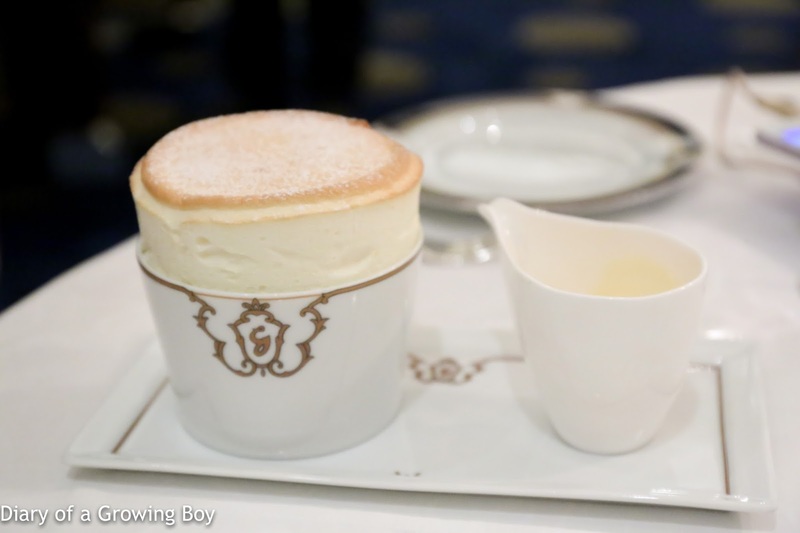 Grand Marnier soufflé - with a scoop of mandarin sorbet added on top. The texture was perfectly light and fluffy. Another winner. Madeleine - curiously devoid of any orange flavor. Although I brought along a bottle of wine, we decided to start with a glass of Champagne. 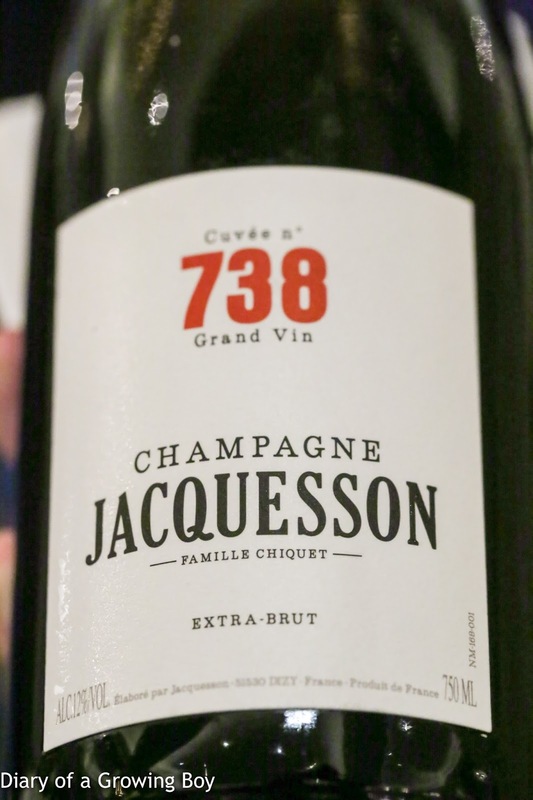 Jacquesson Cuvée n° 738 - surprisingly ripe on the palate, with prominent yeasty notes. Very vibrant yet elegant bubbles. 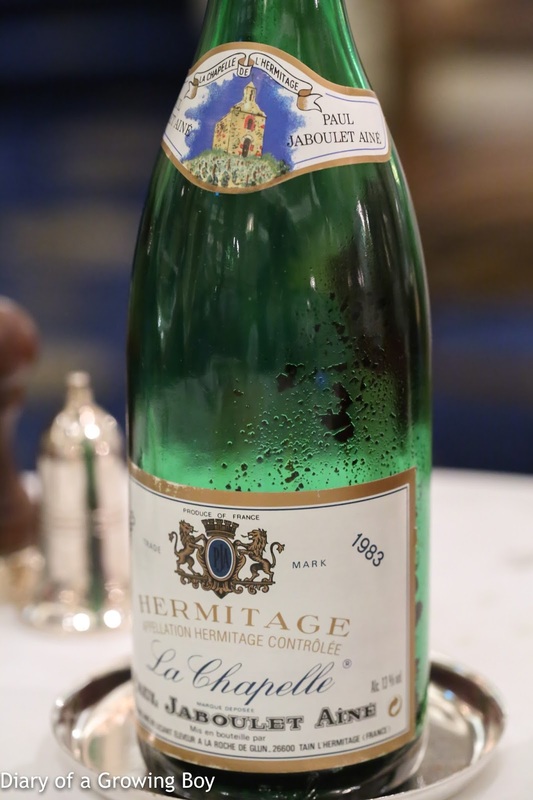 1983 Jaboulet La Chapelle, ex-domaine - for the second time in a row, our waiter was overly aggressive when it comes to decanting my wine, which meant that some sediment ended up at the bottom of the decanter... and subsequently poured into my glass. 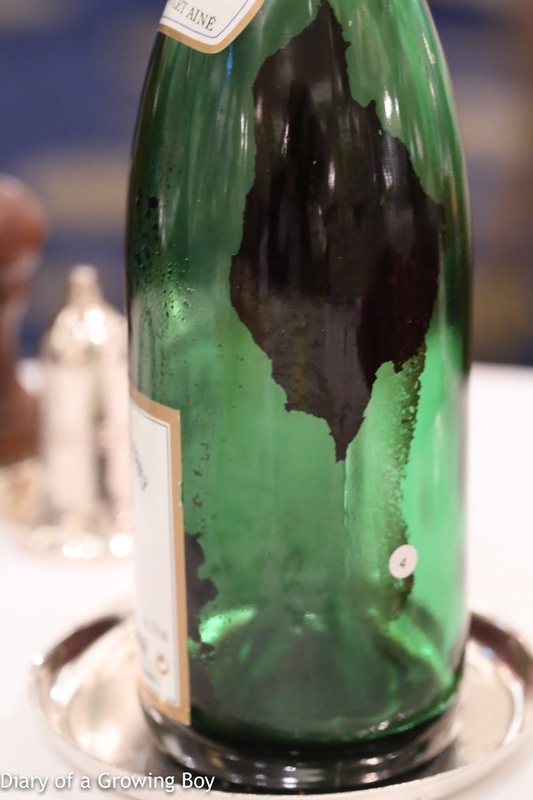 The wine was filtered while decanting due to a broken cork, then the decanter was stoppered. 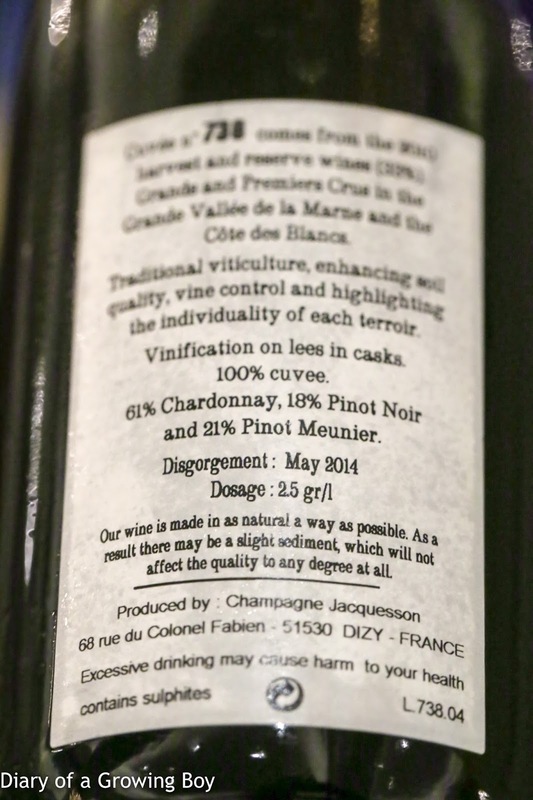 Pretty sweet fruit in the nose, with plenty of leather and toasty notes. Showing beautifully after 40 minutes, with stewed prunes and cedar, but acidity on the palate was a little high. Almost 2 hours on, the wine turned pretty sweet on the nose, and acidity was more prominent, while some tannins and a hint of sharp alcohol showed up at the end. We adjourned for a nightcap at The Bar, and we were led to the back room that was completely empty. After asking for recommendations, we ordered a glass of red wine as well as their signature cocktail.